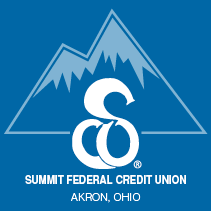 Managing your money is easier than ever with Summit FCU’s Web-24. Pay your bills, monitor your accounts, transfer funds, and more from your home computer, lap top, or tablet, whenever it's convenient for you. No need to write checks, buy stamps, address envelopes, or hurrying every month to avoid late payment fees? We have just the solution. Online Bill Pay! It's a free service with your Summit FCU checking account that lets you pay nearly any company or individual, anytime: rent, mortgage, utilities, cell phone, gardener, or even your babysitter. eStatements is a free service (included with Web-24) that lets you receive and view your credit union account statements online. Say goodbye to stacks of statement envelopes. Receiving your statements electronically is the easy, safe and secure way to manage your SFCU account. No more waiting for the mail to arrive and no more paper to shred.